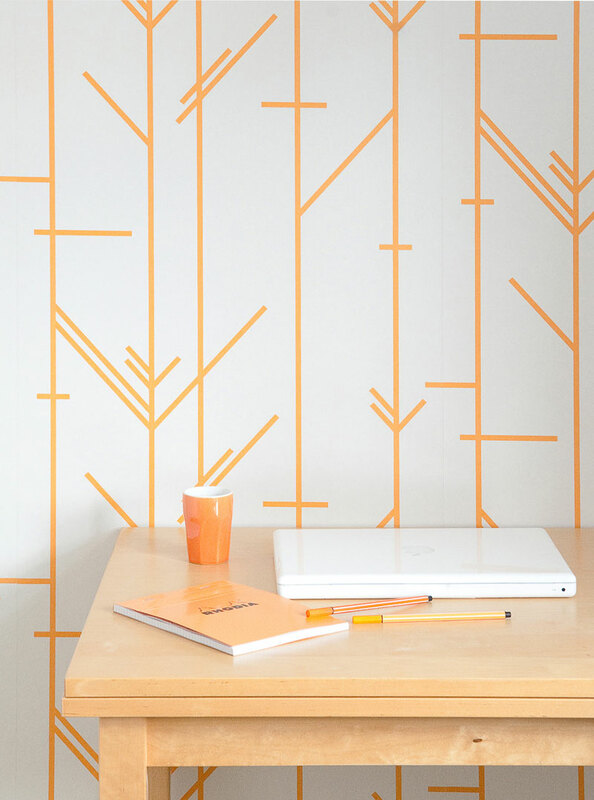 Cara Holland is the brains behind Patternbooth, a blog dedicated to all things geometric, and now a new range of homeware. Launched at Home London in January, the range includes lampshades and wallpaper, all of which are made within 70 miles of Cara's home. The collection is built around 2 strong geometric patterns, and a great choice of vivid colours. With shades of midcentury and Scandinavian design to it, the collection has been produced with great attention to detail, including double-sided cushions so that you can easily change the look from full-on colour to something more minimal. You can buy the range from the Patternbooth shop, or online store Clippings, and you can follow Cara on twitter @patternbooth. I thoroughly recommend checking out her blog too, it's full of great finds and interviews. 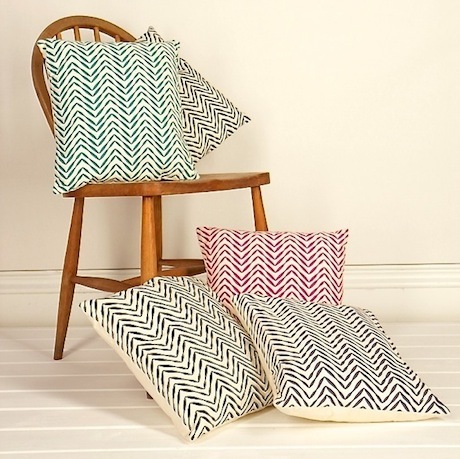 Zedhead Designs is the lifestyle brand of textile print designer Zoe Thompson. With a big emphasis on print, Zoe takes her inspiration from nature, animal prints, exotic feathers, motifs, urban surroundings, graffiti, to street culture. Zoe's unique creative vision and sense of colour has allowed her to produce a range of high quality contemporary printed products, from quirky cushions, statement lampshades and lighting, to an expanding furniture range. Using a combination of photography, sketching. expressive graphic design, and the use of digital print technology, has enabled the Zedhead product range to stand apart from any of the limited designs found on the high street. 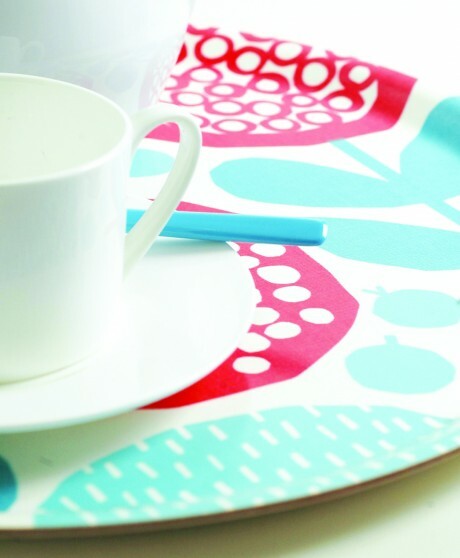 Brighten up your Monday mood with these uplifting designs by London based designer Kate Clarke. We are totally obsessed with her unique range of screen-printed homeware products, including mugs, trays, cushions, tea towels, coasters and prints. With a nod and a wink to Scandinavian, Japanese and 1950’s textiles, her designs have a contemporary feel with a retro twist. Fresh, bright, happy homeware to see you into Spring. 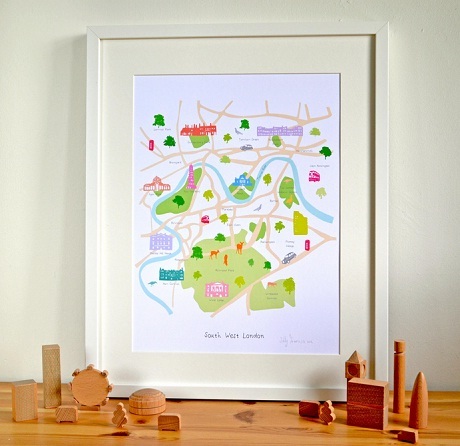 Products from Kate Clare are available from the Southbank Centre shops. It has been a busy year for byKirsty successfully receiving Arts Council of Wales funding to help develop the business and marketing side of her business. Culminating in exhibiting at designjunction in September, where she exclusively launched the new lighting range from byKirsty in collaboration with Sian Elin . This brand new lighting range combines excellent product design, with a stunning surface pattern. The new table and floor lamps fuse the signature Sphery lighting range from byKirsty , with the bold geometrics of Sian Elin – with clean mid-century modern lines in a range of popping colours. Designed and made in Wales. On top of all this, byKirsty is now selling on the on-line shopping site notonthehighstreet. Have a look and see what will look beautiful in your home. byKisrty will be exhibiting on the Heart Home stand at Home London from 12 – 14 January. Earls Court 2, London. Heart Home magazine will be on stand M46. Join us for a 'tweetup' on Sunday 12th at 12pm. Ms. Pink and Mr Black are the creative partnership behind Quirk & Rescue, an East London design company specialising in wallpaper, cushions, fabric and bespoke hand-painted furniture. All their designs are original, based on elements as diverse as typography, music and 19th century optical illusions. You can also commission them to develop a product based on your unique personal or corporate style. So if you would like to discuss your design ideas or needs, from punky cushions to bespoke painted furniture, and from retro fabrics to vibrant wallpaper they urge you to get in touch. 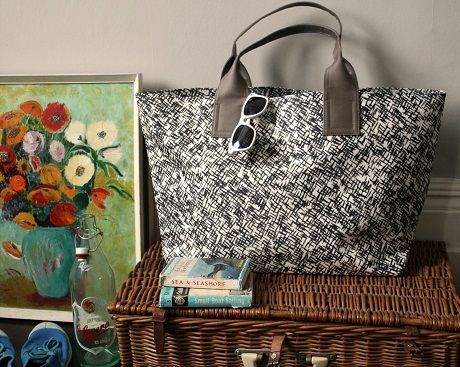 Quirk & Rescue will be exhibiting on the Heart Home stand at Home London from 12 – 14 January. Earls Court 2, London. 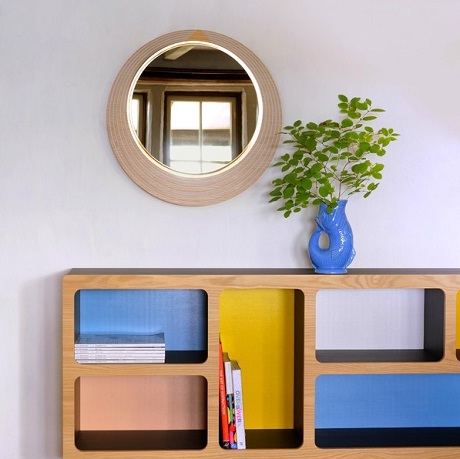 Anna Dent Studio was an obvious choice for us when we were choosing our 10 designers for Home London 2014. Anna has been a contributor to this blog for some time now and we have long been admirers of her distinctive illustrative style. Anna trained in Fine Art and has been designing patterns and fabric since 2011. She particularly loves fabric design from the 1940s-1970s, Scandinavian design and modernist furniture and architecture, so her work is inspired by these wonderful colours, shapes and patterns but always with a fresh and contemporary twist. We were blown away the first time she did an illustration especially for our blog - here. She is working hard developing a growing range of products featuring her designs and is selling greeting cards, placemats, coasters, teatowels and prints on her Folksy shop, all of which are made in the UK. Anna also confesses to have a bit of an obsession with detail, which means she works hard to make sure her products are always great quality, neither is she a fan of excess plastic, so wherever possible she use recycled and/or biodegradable packaging. 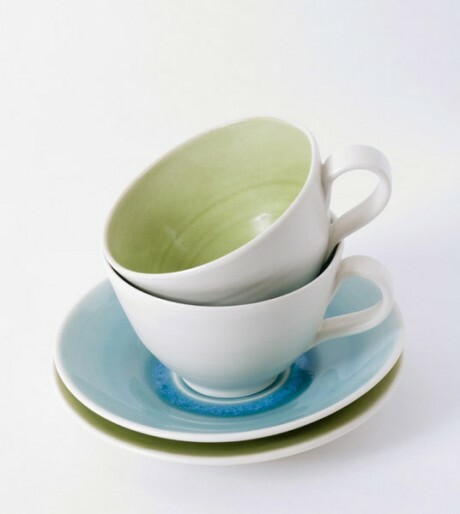 Anna Dent will be exhibiting on the Heart Home stand at Home London from 12 – 14 January. Earls Court 2, London. Home Slice Design is on a mission to celebrate the everyday, the over-look and the unsung heroes of Britain, it is the creative partnership of illustrator Steph Parr, and product designer Ellie Gregory, who create homewares to uplift and amuse. 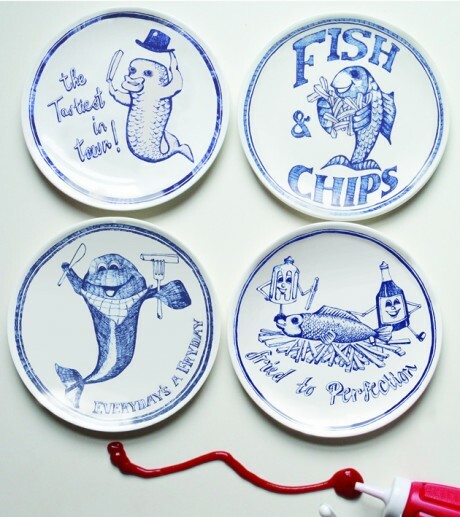 With a shared love for greasy spoons, nostalgic memories and forgotten champions of the British pantry; their designs have bags of personality, balancing craftsmanship, illustration and their unique humour. Based in East London, everything Home Slice create is made and produced in the UK by small independent manufactures if not by themselves. “We have a special sense of humour(! ), a comforting humour that draws from references we’ve all grown up with or see everyday, but don’t necessarily pay attention to. We like to think that, in our own small way, we’re championing the unsung domestic heroes of Britain and creating homewares that inspire nostalgia and optimism and the occasional smirk.” Ellie Gregory, Home Slice Design. Their talent has won them exclusive commissions from the South Bank Centre and recognition and praise from The Times, Living Ect and The Observer. Home Slice Design will be introducing a new selection of Glassware in Spring 2014, working with UK factories in Stoke on Trent to create a brand new range inspired by G&T’s in the pub, dusty decanters and ‘Nana’s Finest’. Home Slice Design will be exhibiting on the Heart Home stand at Home London from 12 – 14 January. Earls Court 2, London. It was love at first sight when we first saw the pretty retro patterns on the Caslon&Co cushions, tea towels, oven mitts and aprons. The patterns are created using antique wooden letterpress printing blocks known as ornaments and fleurons which printers traditionally used to add decorative flair to books and posters. They are rarely used nowadays of course and Caslon&Co designer Andy Rouse has given them a new lease of life by putting his collection to good use (and he's got quite a collection) creating patterns for the home. 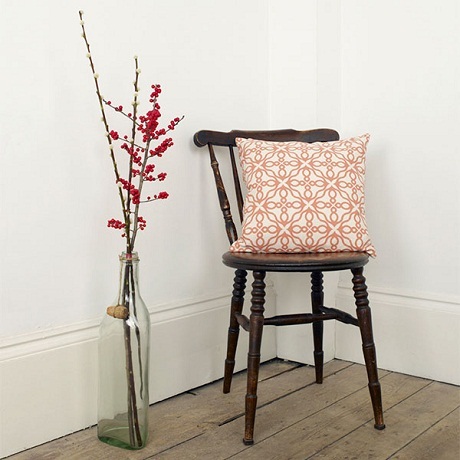 Once printed the fabrics are developed into homeware and decorative accessories by skilled craftsmen and women in the UK. The rather lovely kitchen aprons are a particular favourite of ours as they add a little vintage style to baking or cooking sessions while covering all the practicalities! Caslon&Co will be exhibiting on the Heart Home stand at Home London from 12 - 14 January. Earls Court 2, London. One of the secrets to a good looking home, is one that’s filled with personality and full of items that show off what the homeowner loves. As a certifiable TV and movie addict, discovering Something Studio has made me very happy indeed. My walls are about to get much more interesting. Having previously worked for super brands including Mercedes, Nokia and New Era - Paul Cooper is the illustrator, animator and graphic designer man behind these posters, which show off his talent and appreciation of popular culture. Using print and digital media, Paul takes inspiration from iconic TV shows, films, sports and puts his distinctive spin on them, creating these conversation starting pieces. Great subjects, accessibly priced with a contemporary edge get a big yes from me. A bespoke/commission service is available - visit Something Studio for details and prices. Images courtesy of Peachy PR. Seven Gauge Studios is the work of Joy Bates, who started her own label in 2010 after a successful career designing knitted fabric for the likes of Nicole Fahri. Inspired by her collections of vintage fabric and old knitting patterns, Joy designs and produces beautiful contemporary home and fashion accessories including blankets, cushions and scarves. She has a passion for colour and pattern which shines through in her products, which are a great blend of the traditional and the modern. All of Joy's products are made in her own studio and with the help of a small local family-run factory, and you can find them in a range of stores, as well as online. Joy says that it's a privilege for her to be able to create her products entirely from scratch, and I think her enjoyment really shows in the end results. Kangan Arora exhibited at Design Junction as part of the London Design Festival, and her eye-catching colours really stood out. Kangan is a contemporary textile designer from the plains of North India, now living in London. You can see the influence of Indian street culture and life on the highways in the colour and energy of her handcrafted products, as well as a strong modern streak in the simple shapes and geometric patterns. She also combines screen-printing with traditional hand embroidery and appliqué, as you can see on this fun cushion featuring an Indian wedding band. You can find out more about Kangan on her website, and buy her products online. Tori Murphy confesses that as a designer, she is fuelled by a love of pattern, texture & colour and her approach to design has developed since graduating from the Royal College of Art with a MA in Textiles, and then honed when working for a Milan textiles house where she designed for clients including Christian Dior, DKNY & Fendi. She is driven by a desire to create products with character & integrity, and is very proud to say her fabric is woven in Lancashire, washed in the Yorkshire Dales & made up into product in Nottingham. Launched in June 2012 and now a compact team of three, Tori Murphy products tell a story of creativity, determination and great British craftsmanship.